If you have ever seen Austin Seferian-Jenkins up close and personal and remember what he was like as a youngster then you know what Hunter Bryant is like to watch. These two Tight Ends defined the position and what a 5 star recruit looks like. ASJ ran the table as an All American and went on the the UW and is now a Tampa Bay Buccaneers. Bryant is a 30 to 40 offer top rated TE from Eastside Catholic who will lead the Crusaders this year before he heads off to college. These two were special. We knew it when we first saw them and they just got better and better. 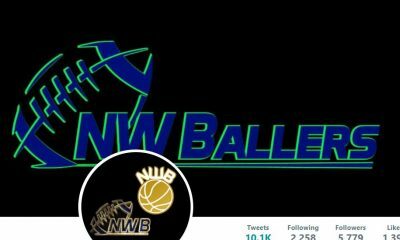 At the recent NW 9 Camp we met a young man who not only beat but at times dominated all the defensive backs including several who had D-1 offers. And he did it as an incoming Freshmen. Folks the next big thing appears to be TE/DE Dandre Rogers (we may have his spelling wrong. No Hudl Film Yet!) 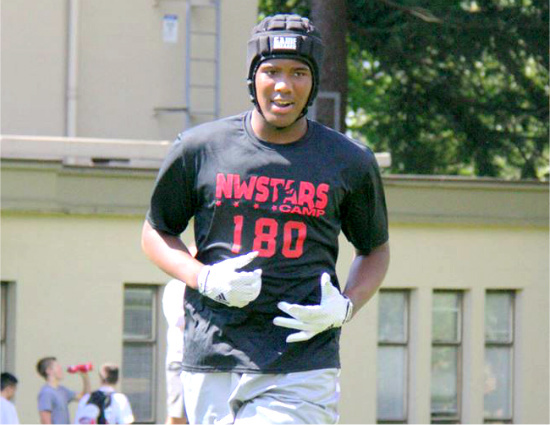 – a 6’5″, 220 pound speedster who will enter the Eastside Catholic Football family this week. He has not played a down of High school football but he will be on the field for Eastside Catholic on the varsity this season. He has to prove himself but this two sport recruit has amazing hands, a huge frame, and like Bryant is muscular and is a big horse in the passing lane who will strike fear in the hearts of many defenders. Dandre is big, muscular, and as well built. He is fast as athletic. 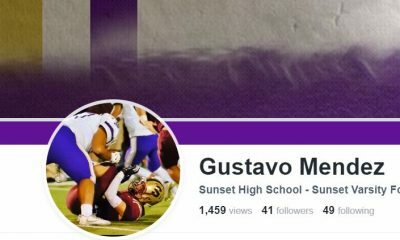 He is already tracking as major D-1 recruit and coaches it is safe to say that he is one to start the process on early. He reports excellent grades and we were just in awe of what he brought the the table at the NW 9. Check out his interview right here. More to follow on this guy.